Metropolitan Division Officers lives were at risk when a suspect pointed a gun at them on January 30. MELROSE—The Los Angeles Police Department has apprehended the suspect responsible for threatening officers with a handgun on January 30. At approximately 3:00 p.m., Metropolitan Division Officer Roberto Gonzalez and his partner were patrolling the area of Melrose Avenue when they spotted two men committing a crosswalk violation at Heliotrope Drive. According to the LAPD blog, when officers approached to stop the vehicle, one of the suspects, Anthony Martinez, tried to flee the scene by running down Heliotrope Drive. Officer Gonzalez chased after the culprit on foot, with his partner pursuing in the police car. He spotted Martinez clutch the front of his waistband while he ran and turned a corner on Clinton Street. Martinez retrieved a handgun and turned back toward the pursing officers with his weapon in hand. Noticing that the suspect was armed, Officer Gonzalez fired his gun, but the rounds missed the suspect who was uninjured. He later threw the handgun over a fence and was taken into custody by authorities. Officers recovered a 9mm Smith & Wesson semiautomatic handgun that is being forensically analyzed. Martinez has been charged by the Los Angeles District Attorney’s Office with three felony counts: brandishing a firearm, carrying a loaded firearm in public and carrying a concealed weapon. This has been reported as the third incident in 2016 where a suspect used a loaded firearm or replica firearm threatening the life of an LAPD officer that has resulted in the use of deadly force. Back in 2015, a total of 19 incidents occurred with a suspect and a firearm and 6 incidents where the suspect used a replica firearm or pellet gun. All information is based on a preliminary, ongoing investigation which continues to evolve as investigators interview witnesses, review physical and electronic records, and analyze forensic evidence. The Department’s understanding of the facts and circumstances of the incident may change as additional evidence is collected and analyzed. LAPD’s specialized Force Investigation Division (FID) responded to the scene and began interviewing witnesses and collecting forensic evidence. The complete investigation will be reviewed by the Chief of Police and the Board of Police Commissioners to determine whether the use of deadly force complied with LAPD’s policies and procedures. In addition, the Los Angeles County District Attorney’s Justice System Integrity Division will conduct a comprehensive review of the incident to determine whether any of the officers’ actions violated California criminal statutes. Anyone with information regarding this incident is asked to call LAPD’s Force Investigation Division at 213-486-5230. 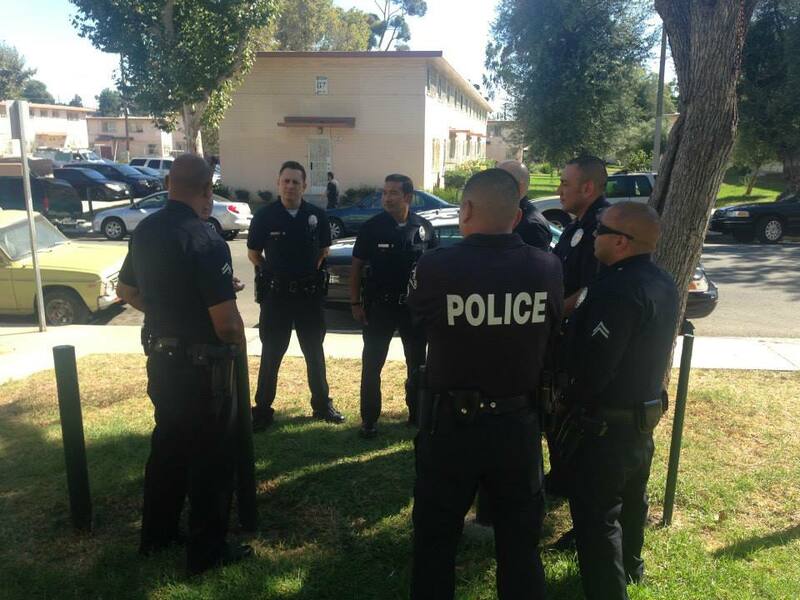 During non-business hours or on weekends, calls should be directed to 1-877-LAPD-24-7 (877-527-3247).